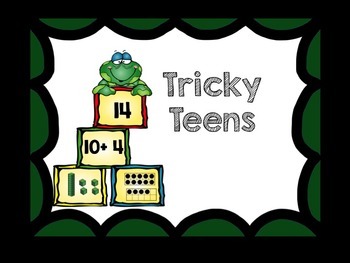 Teen numbers activities, centers and practice sheets using ten's frames and base ten blocks. Download the preview to see everything that is included and for a free sample printable. 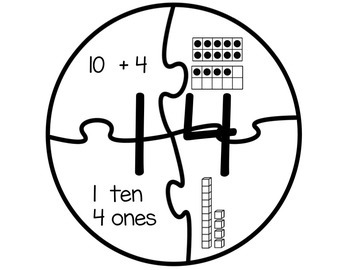 Includes various whole group, small group or math centers and individual activities for teen numbers using double ten's frames and base tens. -numbers 11-19 number sentence foldable. Students find the unknown the create a number sentence. 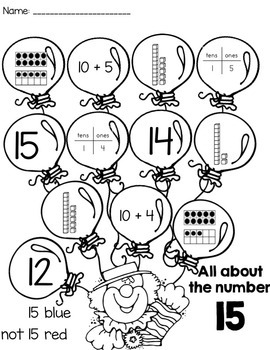 ~various individual worksheets focusing on each number in isolation as well as a combination of the numbers. 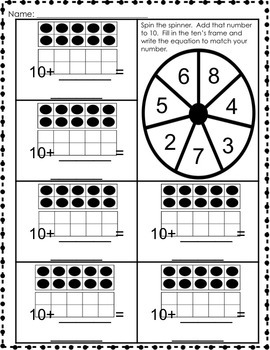 These can be used for independent practice in the classroom or sent home for homework.